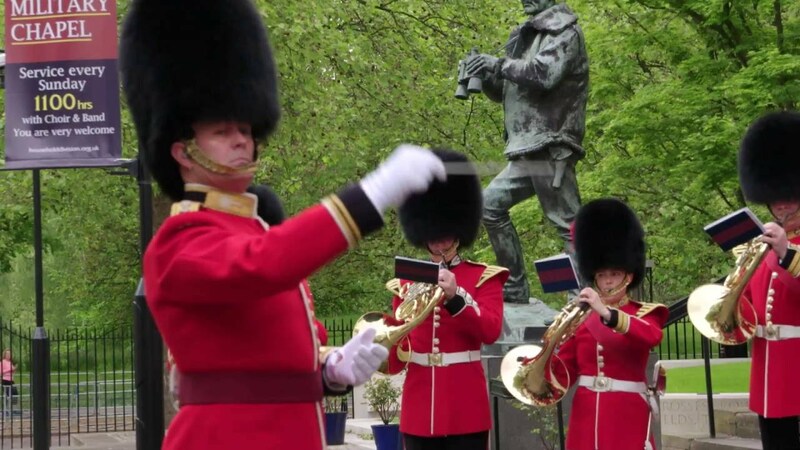 I hardly know where to start writing about my wonderful time filming with the Band of the Coldstream Guards! 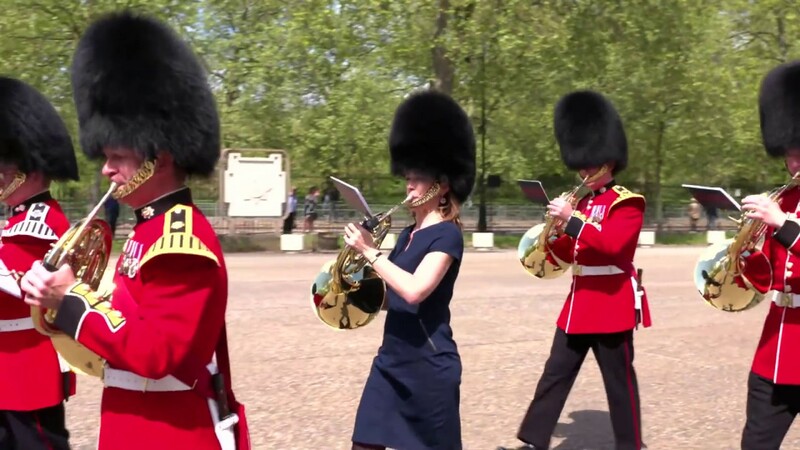 My first memories of this famous British Army marching band was as a 6 year old, watching them in awe during the Changing of the Guard, my face pressed up against the railings at Buckingham Palace. I fell in love with the red uniforms and tall black bearskin hats at first sight. This episode of Sarah’s Music took quite a bit of organising. Quite innocently, I thought we’d be able to follow the band out of Wellington Barracks to Buckingham Palace, filming them all the way and back again. But I have lived out of the UK for so many years and had forgotten just how many tourists line the streets every day at 11:30am to watch the Band march out. There was no way our cameras could get through the crowds. However, we might not have made it to Buckingham Palace with them but we had such exclusive access inside Wellington Barracks that it didn’t matter in the end! Special thanks to Bandmaster Laura Stead (also a horn player so we bonded immediately!) for her tireless organising, Colour Sergeant Darren Hardy for the interview, (being so close to the wonderful red uniform made me remember my first impressions as a 6 year old) and of course to Nick, Mick, Mark and Chris, the horn section, who made the time to show me the ropes and talk about life in the Band. Extra thanks to Nick for the special arrangement of the Horn Challenge piece. Don´t miss the outtakes…! 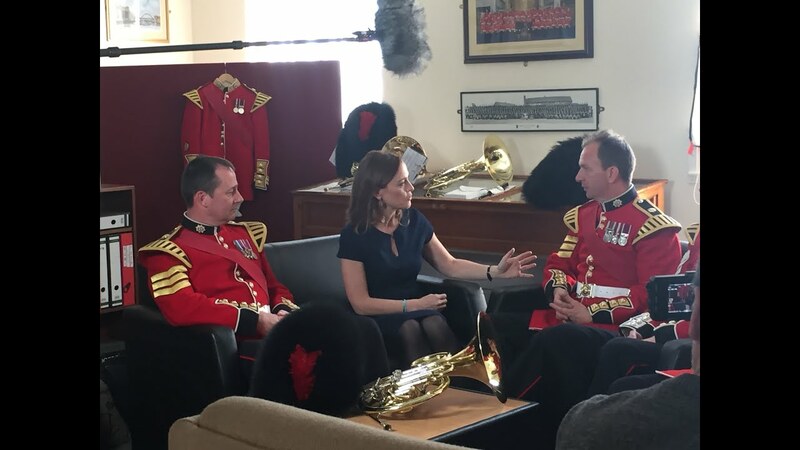 My team and I felt extremely privileged at the backstage access made possible for us by the Band of the Coldstream Guards and we enjoyed making this episode enormously. I am sure that you will enjoy it too. Rule Britania!